When you have a baby there seem to be hundreds of things you need to purchase. You want to make sure your baby has the best and safest products available, but the amount of options can sometimes be overwhelming, and opinions will vary depending who you talk to. The car seat is one of the most important items you will buy. Everybody needs one, and you will need to buy new seats as your child grows; but most new parents aren't sure how to choose a car seat. 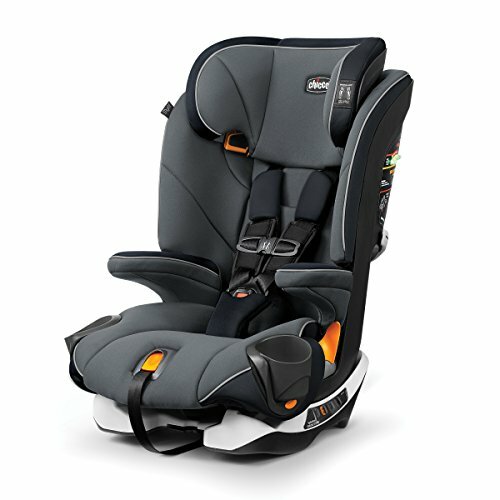 Britax and Graco car seats are two of the more affordable and popular options available. Children also need to ride safely in the back seat until age 13. If a safety seat has been involved in an accident, it must be replaced. It is helpful to know that most auto insurance policies will cover the replacement of your child's car seat after a crash, and failure to replace the seat is not only a safety risk but also means the seat manufacturer is no longer liable if the seat fails in a future crash. If you are considering a used car seat, make sure the seat is in good condition and has not been involved in any accidents. You should also check the expiration date of the seat. Over time, car seat materials degrade, reducing the effectiveness and safety of the seat. This is why a car seat typically expires 7-10 years from the date of production. To evaluate the seat's compatibility with your vehicle, you will want to think about the size and how the car seat is secured to your vehicle's seat. Some car seats are larger than others, and a large seat may not fit in a smaller back seat. You can measure or look up the dimensions of your vehicle's seat and then compare to the dimensions of the car seat. Most car seats today can be installed using the LATCH (Lower Anchors & Tethers for Children) system. This system features hooks on the car seat that securely attach to lower anchors on the vehicle's seat. It is much faster and easier than using the vehicle's seat belt to secure the car seat; however, vehicles manufactured before September 2002 are not usually equipped with lower anchors. This isn't usually a problem because most seats also include a classic method of installation which uses the seat belt, but you should ensure that this is the case if your vehicle doesn't have the LATCH system. There is a large price range when it comes to car seats, so you should be able to find a seat that fits your budget. As we mentioned, spending less money does not mean sacrificing safety. All car seats with the JPMA stamp of approval have been tested and meet current safety standards. The cost of a seat is mostly impacted by added convenience features like a larger canopy, included accessories, or nicer fabrics. 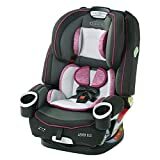 Different types of car seats will also come at different price points, and some seats will last longer due to their ability to grow with your child. Some seats are available as part of a travel system, and these bundles can help you save money. The travel system usually includes a car seat, stroller, and a car seat base. Based on different lifestyles, there are a few factors that can influence your car seat decision. If you have multiple vehicles, a travel system could be a great choice. If you like to jog, you could choose a travel system with a jogging stroller. If you are planning to have more children, you might choose a car seat that doesn't expire as quickly so you can get the most use out of it. In addition to the general considerations we have mentioned, you will need to consider which type of car seat is recommended for your child's age and size. Some car seats can be used by children of various ages while others have a smaller age window. There are four main categories to consider. This type of seat can be used for newborns and will need to be replaced by a larger seat once your child reaches the height or weight limit. Most infant seats have a weight limit of around 40 lbs, and your child is considered too tall once his or her head is within an inch of the top of the infant seat. Many children reach the height requirement before the weight requirement; this might happen around a year or later. Infant car seats are great if you are looking for convenience. Most travel systems come with an infant seat. They easily click in and out of a car seat base or stroller and can be carried inside. Especially with a young baby, it is often easier to buckle the baby into the seat before going out to the car. In the winter, you can cover the baby with a blanket or car seat cover for warmth before going outside and then easily carry the seat out to the car and click the seat into the car seat base without ever needing to remove the cover. Most new parents will start with an infant seat and upgrade later due to the convenience they offer. This type of seat can be rear or front-facing depending on your child's needs. It is designed to carry newborns as small as 4 or 5 lbs in the rear-facing position. As your child grows, you can convert it to a front-facing seat. The rear-facing weight limit is 50 lbs, so you can hopefully use it until your child reaches the recommended age of 2 for forward-facing. At that time, you can turn this seat around and use as a forward-facing seat until your child reaches about 65. Weight limits will vary slightly depending on the seat, so you should always refer to the manual for the details once you choose a specific car seat. If you don't need the convenience of the infant seat, you can save money by purchasing a convertible car seat from the beginning. Otherwise, this is a good second seat once your child outgrows the infant seat. 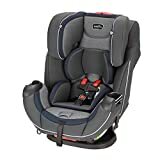 The convertible car seat will stay in your vehicle, so you will usually want to purchase one for each vehicle if your child will frequently ride in different vehicles. You can move it between two vehicles, but it is not very convenient to do so. Booster seats are the next step once your child outgrows the front-facing convertible car seat. The defining feature of a booster seat is the lack of a harness system. Booster seats allow for use of your vehicle's seat belt system. State car seat laws vary, but some states require car seats or boosters for children up to age 9 or 80 lbs, whichever comes first. Many experts recommend using a booster even after your child reaches the weight limit in some cases, especially if your child is short. This is because the booster will lift your child to a height that allows the vehicle's seat belt to fit properly. There are two types of boosters: high back and backless. 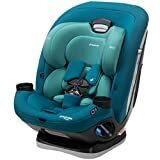 The high back model provides support and comfort for your child, added protection against side impact, and a better fit with the vehicle's seatbelt. The backless model is cheaper and lighter, so it is more convenient for moving between vehicles. Some booster seats can be used with or without the back, and some even come with a harness system so they can be used earlier and converted to a booster once your child is big enough. As implied by the name, the all-in-one is convertible and can be used at each stage of your child's car seat journey. From newborn through the booster seat years, the all-in-one seat grows with your child. This can be an affordable option, but the all-in-one is rather large, so you will sacrifice portability. It can be tricky to move this seat between cars, and the size of the seat can prevent it from fitting into certain vehicles. If you choose the all-in-one, make sure you check your car's dimensions before you purchase it. Now that you know what types of seats are available, you will need to select a brand. Today, we are looking at Graco and Britax car seats, two popular brands. The Graco brand is a little bit more affordable which means Britax car seats often come with added features; however, Graco car seats remain very popular with consumers who feel the added features aren't necessary or worth the extra money. Both Britax and Graco car seats are JPMA certified, meaning they both meet the federal safety requirements for a car seat. All Britax car seats have 5 point harnesses while Graco car seats may have 3 or 5 point harnesses. We recommend you choose the 5 point harness as it is much safer. While Graco car seats are compliant with safety regulations, Britax seats sometimes offer additional safety features. For this reason, the Britax seats are technically safer, but the Graco car seats also have great safety features and will keep your child perfectly safe. The Graco infant seat is almost 3 lbs lighter than the Britax, making it easier to carry around. This is an important factor since many people choose the infant seat specifically for convenience. The Britax, on the other hand, has a larger canopy and slightly better safety features. The Graco car seat costs a little bit less, and the two seats are very similar in the way they function. Both Graco and Britax infant seats can be purchased as part of a travel system, meaning the car seats can easily be clicked into a stroller. When it comes to convertible car seats, the Britax and Graco car seats are the same weight and have essentially the same height and weight restrictions. The Graco is, again, a little bit more affordable and has a cup holder which many parents find helpful. The Britax has a convenient click feature which clicks when the harness straps reach the desired tightness. This is nice because it helps parents to know they have properly tightened the straps. The Graco car seat is a little bit wider than the Britax in this category, so the Britax might work better if you have a small vehicle. The Graco booster seat has a lower price than the Britax and is also more lightweight; however, the Britax has a higher weight limit. The Britax seat will hold children up to 120 lbs while the Graco booster seat only holds children up to 110 lbs. They are equally matched when it comes to ease of use, but the Britax has more padding and is more comfortable than the Graco. One nice feature in the Graco that the Britax lacks is the ability to recline. The Graco booster seat can recline to match the angle of your vehicle's seat. However, if your vehicle has forward leaning headrests, the Britax may be a better option as the headrests can sometimes interfere with the installation of the Graco booster seat. Whether you want a Graco or Britax car seat will depend on the type of car seat you have decided on. When it comes to the infant and convertible seats, we feel the Graco car seats have the edge. 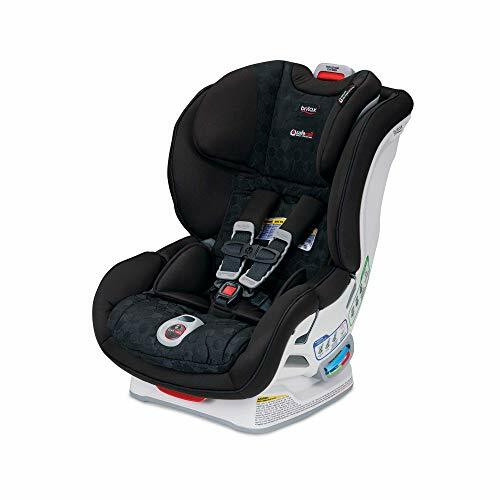 They are more affordable and measure up to the Britax seats in terms of quality. If you are looking for a booster seat, we think the Britax has the advantage. While the Graco is still a high quality and affordable seat, the Britax booster offers a bit more in terms of comfort and safety. Whatever you decide, you can rest assured that your child will be safe in either a Britax or Graco car seat.